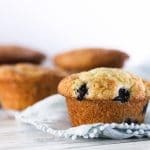 Blueberry Muffins Made with Kefir -- quick, easy and a family favorite! 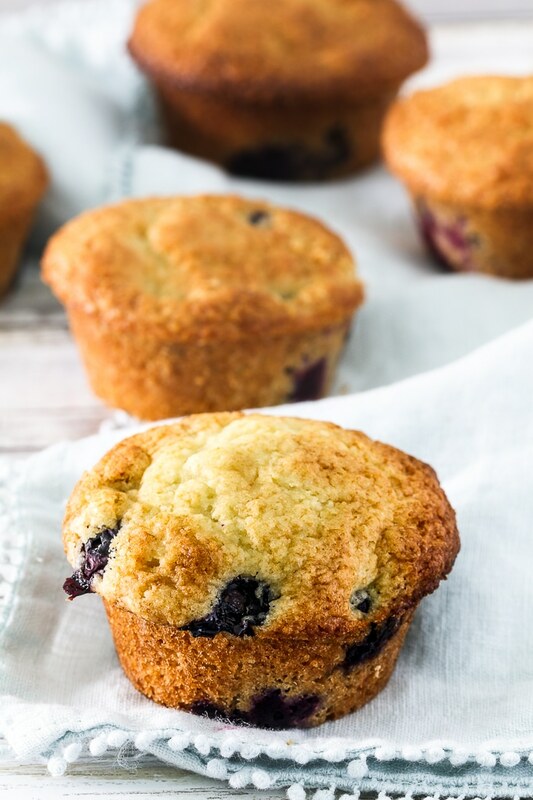 These quick and easy Blueberry Muffins made with kefir have a wonderful buttermilk tang and are a family favorite! But I’m gonna say the world needs actually needs two more, based on the blueberry muffins made with kefir I’m sharing today because surely the world does NOT have enough recipes made with kefir. AmIRight? I make these muffins every other week. They’re quick and easy… basically a one-bowl recipe. My boys love them — and I love that I’ve been able to once again reduce the sugar in half by using my fave 50% sugar/50% Swerve hack I’ve been using all year. 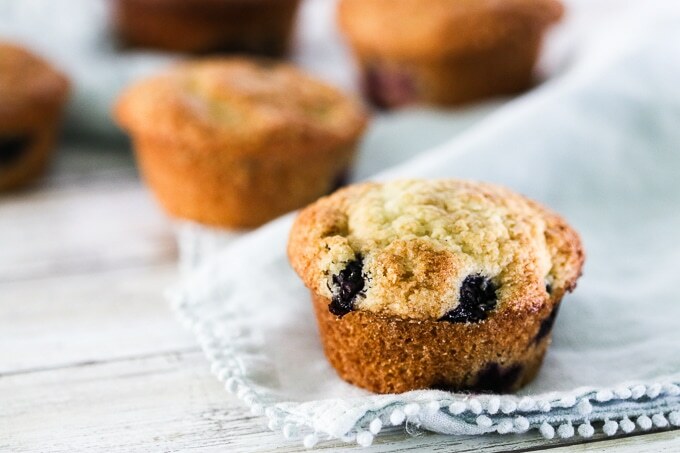 The world may not need too many more basic blueberry muffin recipes. But it definitely needs this one. Coat 8 muffin cups with cooking spray or line with paper liners. Whisk together self-rising flour, sugar and Swerve in a large bowl. Combine oil, egg, kefir and vanilla; whisk to combine. Add kefir mixture to dry ingredients and stir just until combined (do not overmix). Fold in blueberries. Divide batter among muffin cups. Bake for 15 to 20 minutes or until tops are no longer wet and a wooden pick inserted into middle of muffin comes out clean. Transfer to a wire rack to cool. *If you don’t have self-rising flour, use the same amount of all-purpose flour plus 1/2 teaspoon kosher salt and 2 teaspoons baking powder. © This Unmillennial Life ® by Regan Jones. All images & content on this site are copyright protected. Please do not use my images or content without my permission. Get new episodes and more right to your inbox. This Unmillennial Life is the podcast and blog that offers a roadmap through midlife for women who've fallen into a generational gap. If your skin doesn’t know whether to break out or wrinkle, if you’re caught between planning the third grade class party and researching retirement plans, or if you want to work out but the idea of Crossfit makes your 40-something knees ache, THIS UNMILLENNIAL LIFE is here for you. It’s an iTunes Top 75 Personal Journal podcast with stories, advice, and camaraderie to help women navigate this crazy (and crazy-good) season of life.